Do you have histamine intolerance symptoms? The GAPS Protocol may be the detoxification, supplement and lifestyle program and diet you may need. Beyond flavor and crunch, there are plenty of good reasons to throw some nuts into your brownies, banana bread, yogurt, muffins, pancakes, salads and smoothies. Antioxidants, lower oxidized cholesterol and better heart health are just a few of the benefits of indulging in nuts. Will Red Meat Really Kill You? Diet debates aside, the Mediterranean Diet is still proving to reduce the risk of heart disease, diabetes and those conditions that produce them. Adding to their heart-healthy benefits, Harvard researchers have determined that increasing our intake of nuts decreases our risk of diabetes and pancreatic cancer. 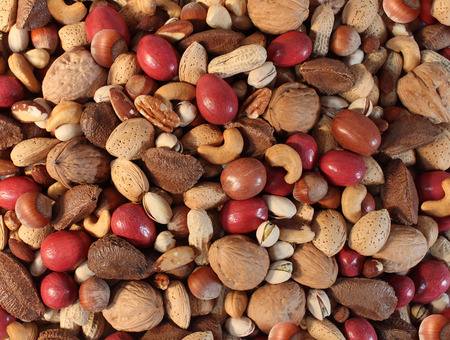 Nuts are great sources of protein and provide healthy fats. New research finds they also increase cognitive scores among elderly women.